It's hubby and my 14th wedding anniversary today. Yup, on a Wednesday. It's never happened where we have it mid week like this and are not somewhere amazing. As life would have it, we are here. But here is pretty awesome and so we decided to make the best of it. We had a great weekend full of New York-iness. Anyway, we had made reservations for another food tour. 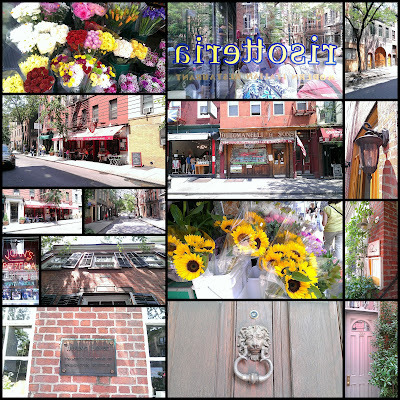 This one was in Greenwich Village. If you haven't ever done a food tour before... DO IT! And, you can read about another one here. 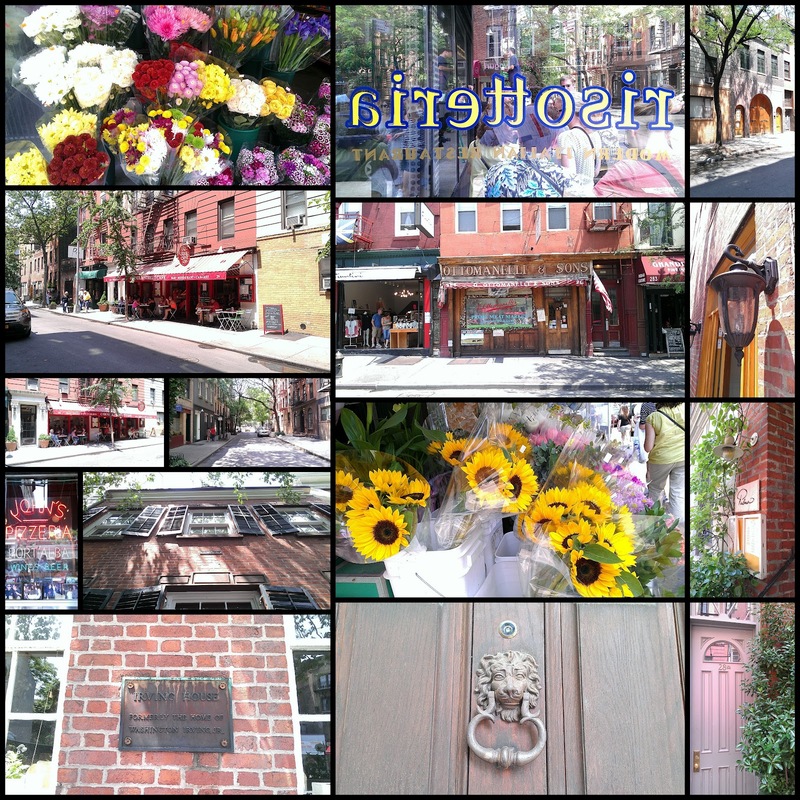 I have always had a love of the Village. I spent most of my teenage years going there almost every weekend without fail. There was something so comforting to me about being around all of these fun and interesting people. Their love and creativity and their acceptance of anyone attracted me to spending countless hours wandering around buying heaps of silver jewelry from any corner market that called my attention. 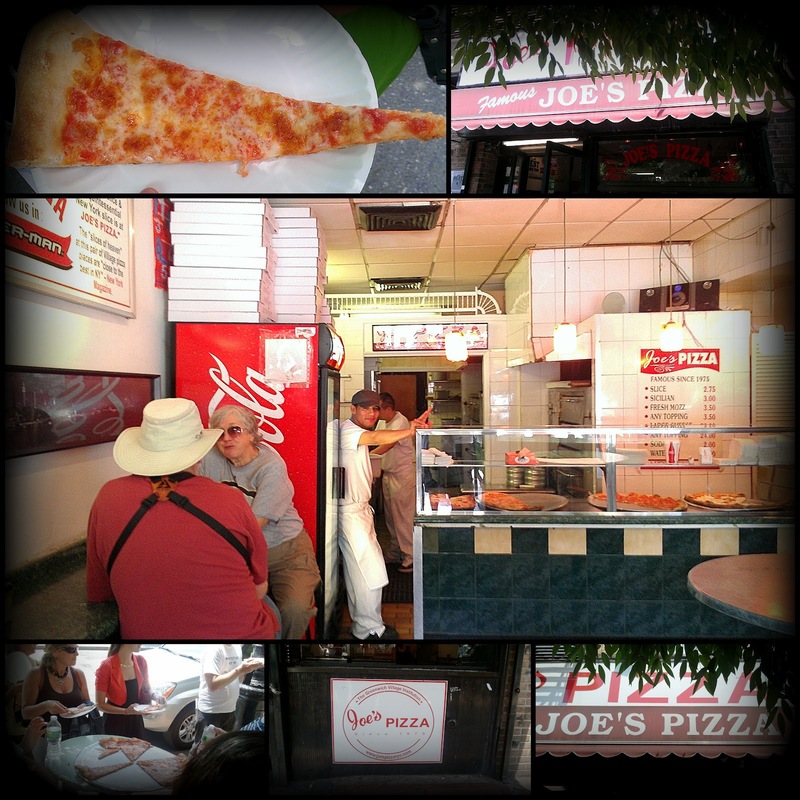 First stop: Joe's Pizza. New York style pizza defined. I have had many a slice of New York pizza and this one was definitely a memorable one. Public Service Announcement: Don't make that ridiculous line at Grimaldi's in Brooklyn, my peeps. I mean, it's good but it is SO not worth waiting 2 hours. AND it's not even New York style. What's the point? Next was Scalinatella with meatballs that melt in your mouth. We all exclaimed "Oh my God!" And then went on a dissertation about how they would be so perfect on a roll from Amy's Bread across the street. Speaking of Amy's Bread, we got to try some on our next stop at Oliviers & Co. I can't give any one stop the gold star because they were all so good. BUT I do have to say that this was one of my top 2 tastings. It was such a simple tasting at that. 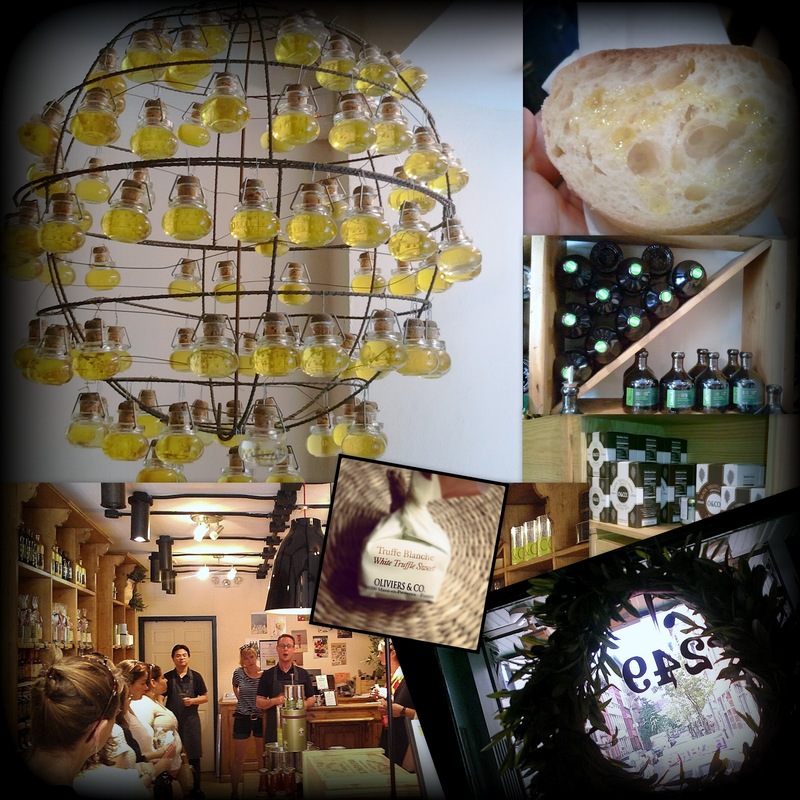 Pure delicious unadulterated basil olive oil that was so perfectly described as "summer on a piece of bread". Seriously. This was also the only place we all went back to and got something from. Including the two things we tasted; basil olive oil and hazelnut white truffles. 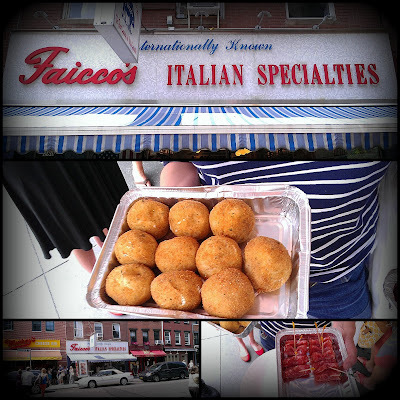 Next stop was also really exciting for me because I had just read this article from the director of the food tours describing the process of making arancini (rice balls) at Faicco's. I had all the intention of going to buy some when I was pleasantly surprised to see that we'd get our own whole little ball of perfection on the tour. YAY! Oh boy. It was crispy on the outside and perfectly creamy and delicious on the inside. You NEED to have one of these! Fun fact: That store in the middle, "Ottomanelli & Sons", designed Lady Gaga's meat dress! LOL! 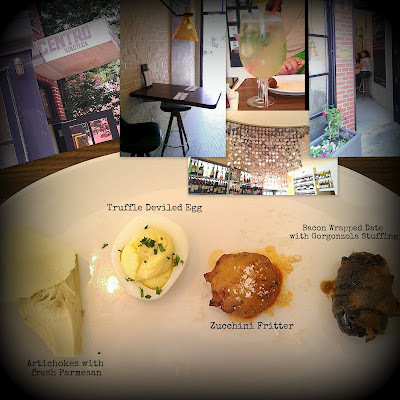 Next Stop was Centro Vinoteca. And this was a really deliciously varied tasting. Every morsel was tasty. We ordered drinks (which may have been a mistake given the heat levels) and enjoyed the rest of the tour. 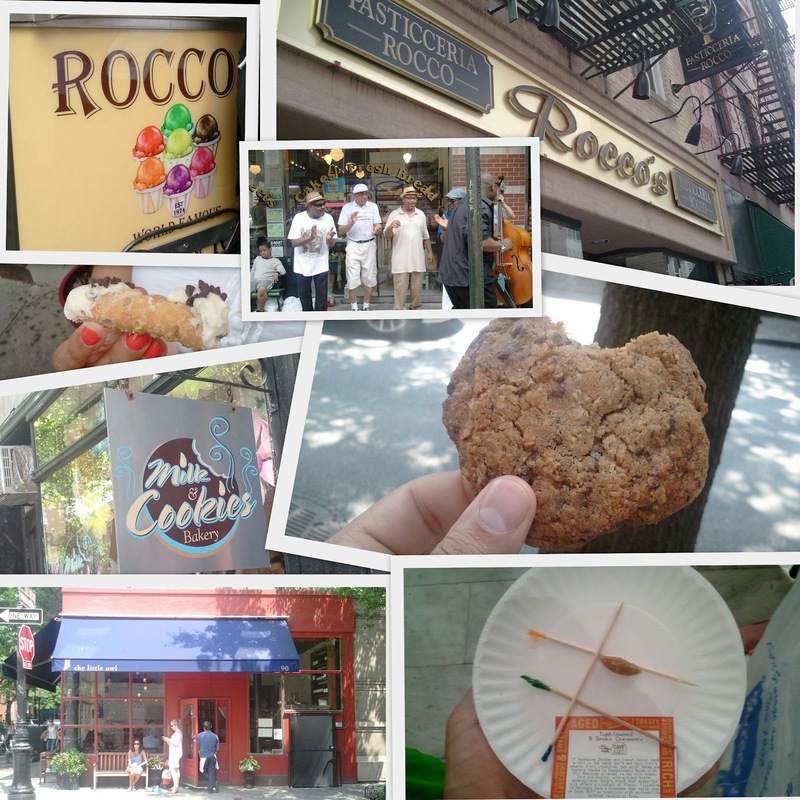 After walking by the"Friends" storefront and discovering tiny little curved streets of perfection, we had cookies. Deliciously warm chocolate oat cookies. I really thought I couldn't finish the whole thing cuz I was pretty stuffed (and hot) but, somehow, it disappeared! We also had a cheese tasting at Murray's Cheese. This store really intrigued me with all the wonderful italian ingredients. I saved the cheese and ate it later at home. I just couldn't anymore.. except for when we got our cannoli at Rocco's. ;) We also got serenaded by a really cool band of acapella singers. 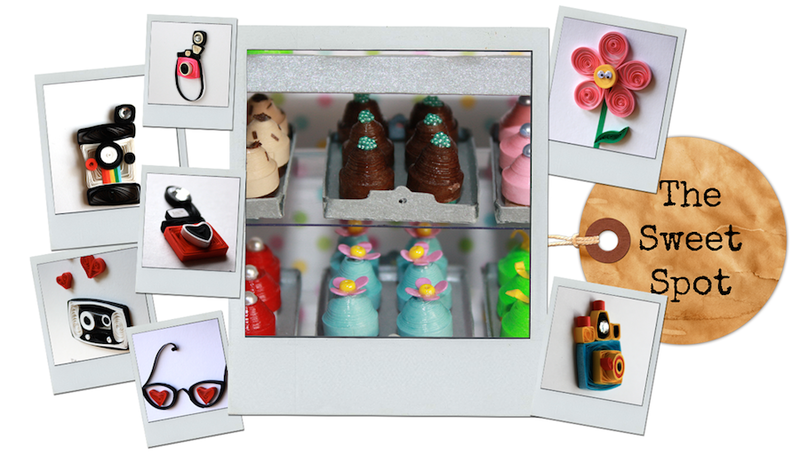 I hope your weekend was a SWEET one, too! We were in NY on Saturday too and yes, more like August! So glad it's back to normal now. Your day sounded like lots of fun. Here's to many more happy anniversaries! Yay! I'm glad you guys were able to enjoy your anniversary. It sounds different and fun AND Yummy! lol! 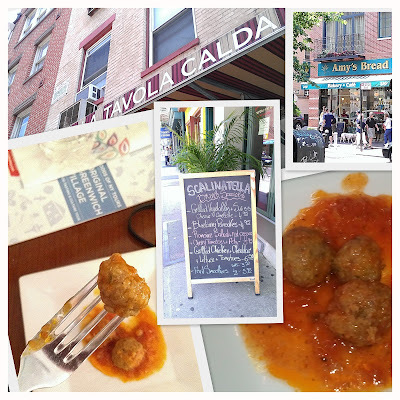 There's a picture up there that looks alot like Grand Street area by the Bklyn Queens Exressway...guess I'm homesick...anyway, enjoyed reading about your Food Tour.